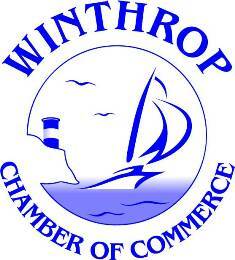 The Winthrop Chamber of Commerce is a 501(c)(6) non profit. We are proud to support the businesses within our small seaside community! Please call our office for more information about becoming a member. in addition to other networking opportunities for members. The Winthrop Chamber of Commerce is also the creator of the Winthrop Neighborhood Numbers Directory, and also sponsors a scholarship and various volunteer opportunities throughout the year. Please give us a call, check out our website, or visit our office to find out more information about how you can be involved in the Winthrop Chamber of Commerce.